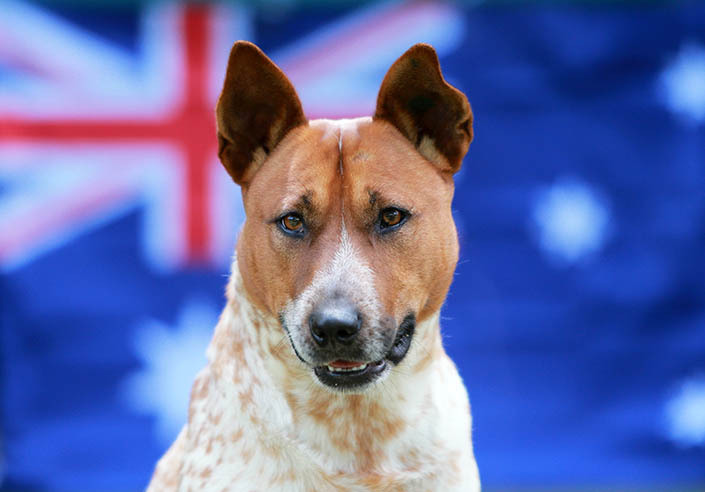 If you’re looking to adopt a dog or cat, or have lost or found a pet, be sure to check our opening hours before you visit us this Australia Day. Fireworks often occur on Australia Day and can terrify pets, causing them to flee their homes in fear and become lost or injured. This Saturday (28 January) also marks Lunar New Year, so beware of fireworks and firecrackers over the weekend. Download our Fireworks, storms and your pet fact sheet for tips on how to help your pets cope with fireworks. Cooking a BBQ this Australia Day? It may be tempting to give leftovers to your pets, but BBQ food can be dangerous for them – especially for dogs. Too much fat or rich meat can cause pancreatitis – a painful condition where the pancreas becomes inflamed from trying to break down too much fat. Onions and garlic are also dangerous, as they interfere with red blood cells, causing the body to break them down quicker than it can create new ones. Cooked bones should also be avoided, as they can splinter in the animal’s mouth. These shards can penetrate and put holes in the stomach. Feeding cooked bones can also cause severe constipation. Corn cobs are also a hazard and common cause of blockages in the stomach of dogs. These must be surgically removed. Please remember that alcohol must never be given to pets. Hops, an ingredient in beer and the grapes that make wine, are toxic to dogs. If you have concerns for your pet’s health or well-being, contact your vet or nearest emergency vet. The Lost Dogs’ Home is committed to safeguarding your privacy online. The Lost Dogs’ Home has created this privacy statement in order to demonstrate our firm commitment to privacy. The following discloses our information gathering and dissemination practices for all of the websites run by The Lost Dogs’ Home. The Lost Dogs’ Home does not collect personally identifiable information about individuals except when such individuals specifically provide such information on a voluntary basis. For example, such personally identifiable information may be gathered from the registration process for subscription or services and in connection with content submissions, community postings (e.g., forums), suggestions and transactional areas. Personally identifiable information on individual users will not be sold or otherwise transferred to unaffiliated third parties without the approval of the user at the time of collection. At such points of collection, the user will have the opportunity to indicate whether he or she would like to “opt out” of receiving promotional and/or marketing information about other products, services and offerings and/or any third parties. Further, notwithstanding any opt out of promotional information by the user, we reserve the right to contact a subscriber regarding account status, changes to the subscriber agreement and other matters relevant to the underlying service and/or the information collected. We do reserve the right to perform statistical analyses of user behaviour and characteristics in order to measure interest in and use of the various areas of the site and to inform advertisers of such information as well as the number of users that have been exposed to or clicked on their advertising banners. Upon request, we will allow any user to “opt out” of further promotional contacts at any time. Additionally upon request, we will use reasonable efforts to allow users to update/correct personal information previously submitted which the user states is erroneous to the extent such activities will not compromise privacy or security interests. Also, upon a user’s request, we will use commercially reasonable efforts to functionally delete the user and his or her personal information from its database; however, it may be impossible to delete a user’s entry without some residual information because of backups and records of deletions. Access to the database containing personal information is restricted to The Lost Dogs’ Home staff members with direct responsibility for customer service or management of the website. Authorised staff members are not allowed to pass on information about members to non-authorised staff without the express permission of the Managing Director. The Lost Dogs’ Home reserves the right to change this policy at any time by notifying users of the existence of a new privacy statement. This statement and the policies outlined herein are not intended to and do not create any contractual or other legal rights in or on behalf of any party. You can logon to the site and update your personal details (unclicking the Receive Email Information) in the Update Profile. Tomorrow's Dogs In The Park at Docklands has been postponed due to the weather forecast of thunderstorms, with expected hail. Our event in Kensington on Sunday, March 31 will still go ahead, as scheduled.